Perfect Brexit food cupboard stock piling. 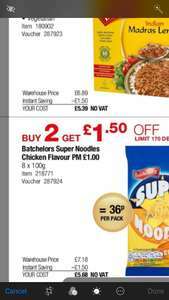 Cheapest batchelors super noodles chicken flavour I have ever seen. Normally on discount for 50p in ASDA.